While it’s great to know about LinkedIn’s unusual question, or how you may do in an interview for an NFL coach, you’re not likely to hear these questions on your next job interview. However, it’s important to stay creative and think outside the box when pondering common interview questions and how to answer them. What can you offer that someone can’t? When preparing for your next job interview, it would be a good idea to review these 50 common questions, as well as consider how you may answer some more unusual questions and leave a lasting impression at your next job interview. To see the full list of questions, check out the article on Forbes.com. This is perhaps the most important piece of job interview advice that you will receive. Never lie when you are on the job interview. Even if the hiring manager buys it, that chicken will eventually come home to roost and bring a world of trouble with it. Another piece of general advice for these common interview questions is that you don’t need to fire off an answer as soon as you hear the question. If you’re not sure of what to say, take a moment to collect your thoughts to form and coherent and compelling answer. There’s nothing wrong with a dramatic pause every now and then, but don’t overdo it! No matter what question is being thrown your way, try to avoid using filler words at all times. Uh, um, and like are some common examples of filler words that not only add nothing to what you’re saying, they also make you sound less confident, less intelligent, and less competent for the job you’re applying for. If you need time to think, pause instead of using a filler word. The best way to rehearse your answers is with real-time practice. Luckily, Aced My Interview has all of the expertise and services you need for these common interview questions and how to answer them. 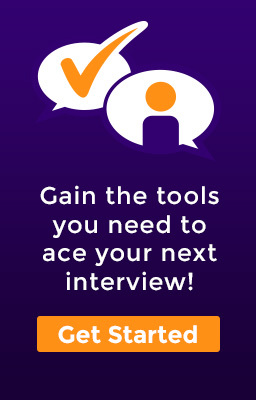 Click here to create an account with Aced My Interview and schedule some time with an interview specialist today!